If you can justify the hefty price tag, you’ll be pleased with the 10 different speed settings, a timer and remote, and easy assembly -- but it may not be as quiet as you’d hope. Quieter than many other models. Customers find it aesthetically pleasing and appreciate its 10-speed settings. Some customers feel that, for the hefty price tag, the fan should be much quieter. A good low-cost option if you only need 3 air settings. Moderately- priced fan has 3 speeds and side-to-side oscillation. Remote doesn’t work for some customers, or won’t work from further than a few feet away. Some reports that it’s not quiet enough for sleeping. Quieter than others but customers report it has a lower air output. Moderately-priced. Has a Fresh Air Ionizer option which reduces pollen, dust, and other irritants. Remote control is not always reliable. 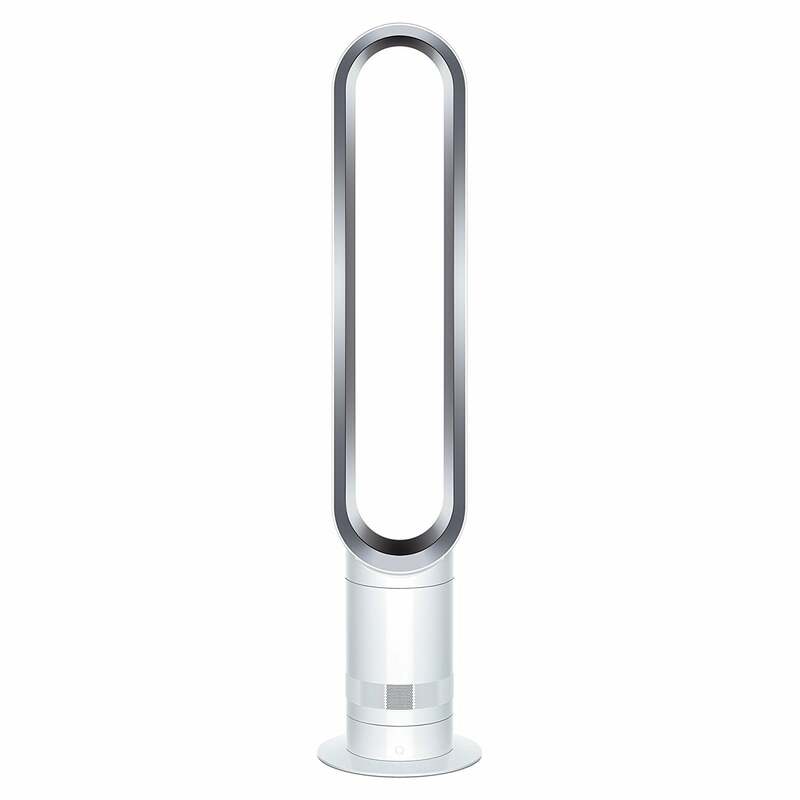 A little pricier than the others, but still not as expensive as the Dyson Tower fan, this model is stylish and has 3 independently controlled fans with 3 speeds. Offers up to 9 levels of cooling and is a stylish addition to a home or office. Some customers complain about the light and the noise. Some customers feel it detracts from their home’s decor. Another moderately-priced model. It has 3 speeds and delivers even airflow with oscillation. Reliable, far-reaching remote control. Oscillation and air flow are considered excellent by many consumers. Fan base is light and can feel cheaply-made and top-heavy, as if the fan is going to fall over. Instructions are not adequate for some consumers. While air is essential to human life – cool air makes our homes more enjoyable. Unfortunately, even the most modern and efficient air conditioning systems often leave corners or remote portions of our homes warm or with stale are during the Summer. A good tower fan can be a compliment to a home’s existing A/C unit to help ensure that air is the right flow, speed, and comfort-level for your needs. We’ve analyzed customer reviews and researched tower fans for you to help you in selecting the best fit for your home. Tower fans are cost-efficient, tall, slim cooling devices that provide an exceptional solution for distributing air in a variety of spaces. They can cool a wide area by oscillating at a 90-degree angle, ideal for air distribution. Due to the long vents, more air dispersal is possible, as well. Tower fans have blades that operate in a vertical manner, blowing air through small vents at the front of the device. If you’re going to invest in a decent fan, you don’t want one that shoots air in just one direction. Tower fans provide several additional advantages. 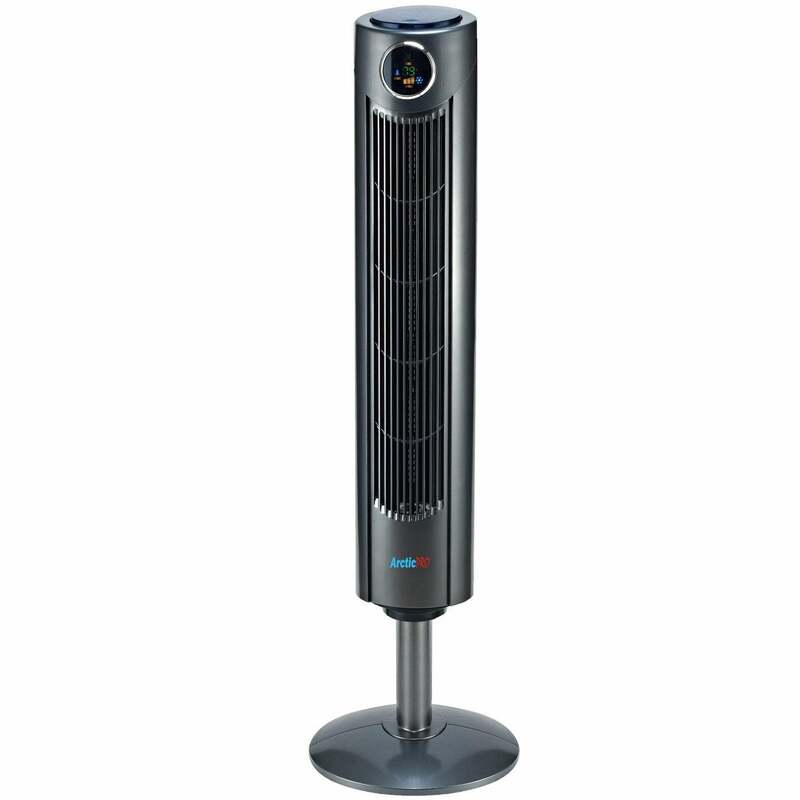 By and large, tower fans are significantly quieter than box fans or circular fans. And while ceiling fans can often provide optimal air dispersal, installing them can be difficult, and in some cases, not feasible. Design: Depending on the amount of space available, the size and shape are obvious factors to evaluate. It is also important to note how portable your tower fan is, assuming you intend to use it in more than one place in your home or office. Additionally, tower fans come in a variety of colors and styles. If you are wanting to find a tower fan that complements your personal style, this is another consideration to keep in mind. Noise output: Air distribution from tower fans is considered universally quiet. However, as with most noise levels, what is considered quiet to one person might not qualify as quiet to someone else. Some level of white noise from tower fans is considered beneficial, particularly for those with mild tinnitus or other hearing disabilities. We recognize that other buyers want a fan as close to completely silent as possible. As a result, we placed a lot of attention on the true noise emitted from each of the tower fans we analyzed. Value: While most tower fans cost around $90-$125, our research included models costing as low as $70, and as high as $375. A lot of the cost difference comes down to how much space needs to be cooled, and the aesthetics of the design. 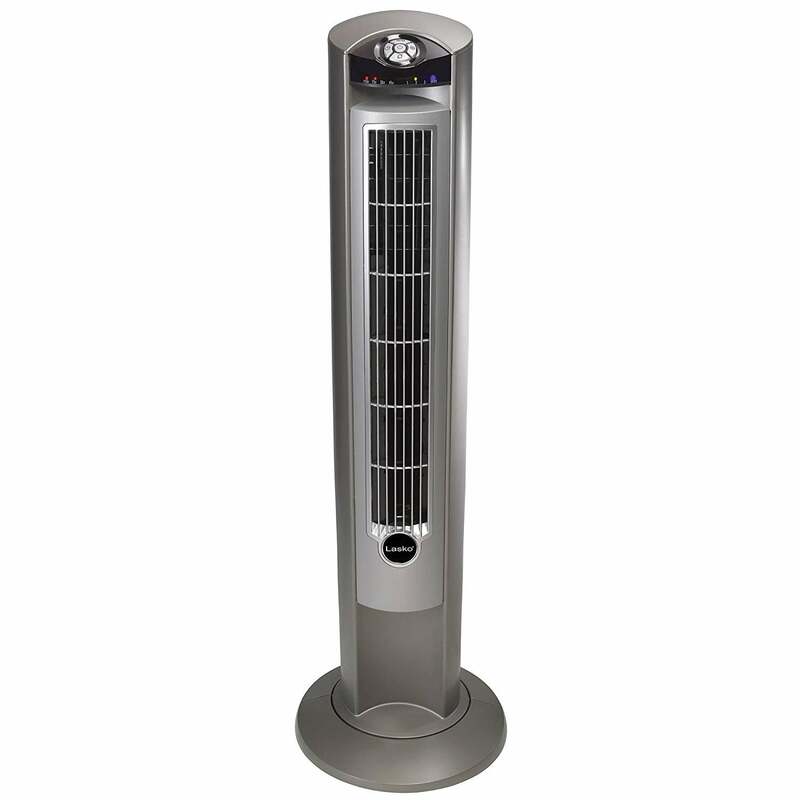 If I intend to use my tower fan in different locations, what should I look for when shopping? Special attention should be given to the weight of the tower fan, as you don’t want anything that’s going to be too heavy when carrying it from room to room. Also, it’s not a bad idea to consider investing in a tower fan that has a handle feature included for easier maneuverability. What are bladeless tower fans? For starters, they’re not actually bladeless! In these models of tower fans, the blades are well-hidden, and they can channel a lot of air. Additionally, bladeless tower fans are ultra-quiet and offer clean consistent airflow. Why should I buy a tower fan instead of a standard electric fan? One of the best reasons we’ve found to opt for a tower fan is that they have the ability to clean the air in the spaces they are cooling. There are filters that help to eliminate pet dander, dust, and pollen. Whether you’re looking for an escape from the heat or simply prefer to have fresh air circulating in your home, a ceiling fan can be a particularly important buy. We've selected the top five for your consideration in this product review.